From cookers to washing machines, fridge freezers to all your built-in appliances. From kettles to irons, you are guaranteed to find what you are looking for. 15 programs to choose from. 12 Place settings. 4 wash temperatures. 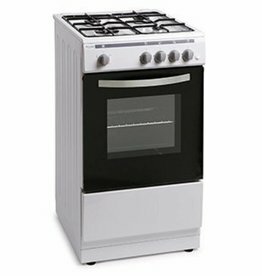 Dual fuel range cooker. Electric oven. VTT337 Opula 4 slice stainless steel topaz blue toaster. Variable width bread slots for thick and thin slices. High lift for easy toast removal. Russel Hobbs texture 21651 slice toaster. Frozen, cancel and reheat functions. Russell Hobbs 21850 multi cooker. Features a choice of 11 programmes. Large LED display with 24 hour pre-set timer. Offers fast and convenient frying and uses less energy than conventional fryers. Iceking RZ6103AP 60cm wide under counter freezer. 7kg loading capacity. A+++ Energy efficiency rating. Sharp ESGL74B black washing machine. 7 kg max load capacity. The Beko WMB71442B has fantastic programmes and wash times. Hotpoint Futura FDL9640K - washer - dryer. 9 kg washer, 6 kg dryer. Anti-stain wash.
With 13 place setting capacity and adjustable racking including wine glass supports and cutlery basket. Comes with a 2 year warranty for additional piece of mind. Breville steel 400W hand blender 3 in 1. Set includes: hand blender, beaker, chopper bowl, blades and lid. Beko action line microwave with grill MGF20210X. This microwave from Beko is packed with the features you need to help you save time in the kitchen.